When you’re visiting Litchfield Beach Resort, there’s so much to do! 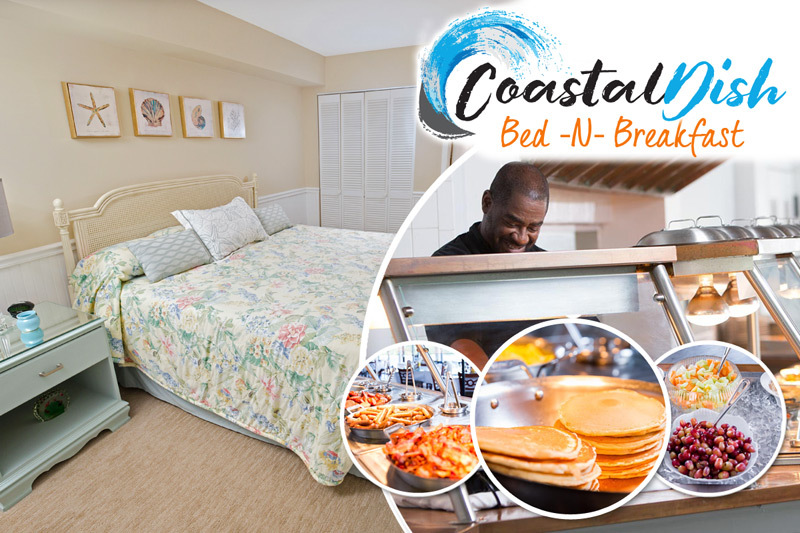 Many of our guests could spend their entire visit on golf, tennis and the beach, but if you want to branch out a bit further, maybe it’s time to check out Murrells Inlet. The charming fishing village of Murrells Inlet is only about five miles north of Litchfield Beach Resort, and offers plenty of fun and entertainment. For starters, check out the Murrells Inlet Marshwalk, a half-mile boardwalk where you can stroll along the saltmarsh estuary that makes the inlet so special. The Marshwalk is great for a walk during the day or evening, and the back patios of the restaurants that lines the Marshwalk will give you a preview of some of the amazing seafood you can find in Murrells Inlet. Take your pick from the various dining establishments, as well as several lively bars and saloons, with live music and truly gorgeous inlet views! One popular choice along the Marshwalk is Drunken Jacks. It offers a full lunch and dinner menu with favorites such as the rich and creamy She Crab soup, oysters on the half shell, an extensive fresh salad bar and the fresh, locally-caught catch of the day. The lounge and open-air deck care also very popular, with live music most nights of the week during peak season from about 6 to 10 p.m.
Anther Murrells Inlet waterfront favorite is Creek Ratz. CreekRatz has live music most nights of the week, but once summer hits, the Summer Concert Series really gets the party going. The first summer concert of 2013 is planned May 26, with Too Much Sylvia livening up the deck from 6 to 10 p.m., rain or shine. These free Sunday summer concerts are very popular, so arrive early and bring lawn chairs, as overflow attendees can sit on the lawn surrounding Creek Ratz and enjoy the music and cocktail service on the lawn. Once you’ve enjoyed the sights and sounds of the Marshwalk, you may want to try something a little different by heading over to Frank Entertainment at Inlet Square Mall. It’s more than just a great place to catch a movie, as you can also take the family down for the video arcade or even for bowling! Or if it’s a night out for the grown-ups, there’s also a full bar onsite. So next time you visit Litchfield Beach Resort, take a short detour north and check out Murrells Inlet!